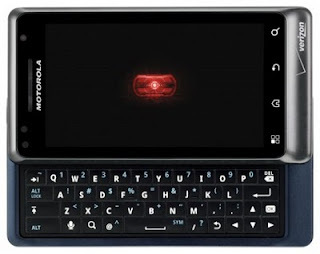 Motorola and Verizon wireless announced the Droid 2's availability on August 11, 2010 at $199 after a $100 rebate. Currently the 1st generation droid (aka milestone) just entered our territory through gray market units and priced around 30k pesos. which brings us to the neverending question here in the philippines: "when will this device arrive on our country?". I dont think it will for the next two years. Unlike milestone, droid 2 is a CDMA phone and will only work(but) for 2 networks that runs through CDMA technology which is bayantel wireless (landline, voice only) and Globe Broadband's Speak N' Surf (wireless landline-voice and internet) but (continuation) both only supports wireless internet and landline(voice) technology as of the moment. No true mobile service currently is available for CDMA.